Contests. Prizes. No Cost to You. 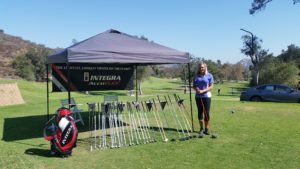 Since launching in the spring of 2016, Par3Contests.com, Integra Golf and our partners have successfully raised tens of thousands of dollars in support of dozens of charities at golf tournaments throughout Southern California. 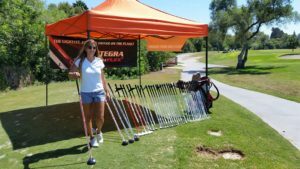 Par3Contests.com and Integra Golf were proud contest sponsors of this classic tournament fundraiser to benefit CHOC Children’s Radiology Department held at the beautiful Oak Creek Golf Club. PJ Connors and her crew did an amazing job, raised a lot of money for a great cause and we had a fantastic time sponsoring the contest. The LAA Angels “Strike Force” girls were also in attendance and made the tournament even more memorable for all. Glad we could be a part of it, PJ! We’d like to thank Joseph and all of the Friendly Sons of St. Patrick for allowing us to assist them with their record fundraising golf tournament at Admiral Baker Golf Course in San Diego! Congratulations on a successful tournament and we’re looking forward to next year already! Thanks to Gary, Tom and all of the Fontana Police K-9 Pals supporters out at Shandin Hills Golf Club. Our team was proud to be a part of such a successful event. We had a blast giving away a ton of prizes to your players and helping raise some much needed money for a very noble cause…the K-9 pals! Happy to help! 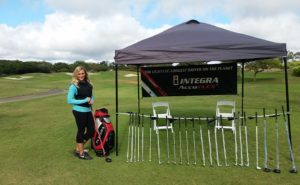 Bill Day and the California Trucking Association know how to throw a golf tournament! It was a hot one out at Coyote Hills Golf Course in Fullerton, CA but that didn’t stop the field of 90+ players from having a blast. 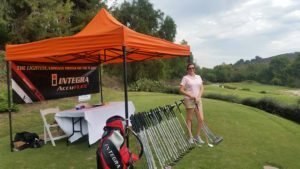 Our staff and Integra Golf were proud to host the contest and successfully raise money for the multiple Children’s Foundations the CTA supports. We look forward to helping out again next year! Thanks to Jackie Toppin and the Fallbrook Chamber of Commerce for letting us sponsor a hole at the wonderful Pala Mesa Resort. Our team was excited to part of such an amazing event! Par3Contests and Integra Golf were happy to support the Eta Pi Lambda chapter of Alpha Phi Alpha and Greens for Scholarship Dreams at the Pacific Palms Resort in City of Industry, CA. Thanks for letting us be part of such an inspiring event. 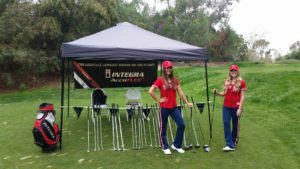 Thanks to Marco Garcia and the entire Encinitas Firefighters Association for letting Integra Golf sponsor a hole at their Charity Golf Classic. The players won dozens of clubs and prizes at our hole and the early rain certainly didn’t put a damper on the event’s success as 120+ players turned out at Encinitas Ranch Golf Course in support of a great cause. We’re looking forward to helping out again next year!